Killer Characters: I Want To See The Ghost! I Want To See The Ghost! You can't imagine what a fuss this blog is causing at my house. My parents and both sets of grandparents cannot believe that Krista has asked me to blog. They're saying "but she's just a kid." I'm almost a teenager. I'll be thirteen on Halloween, which is still months away, but I already feel like a teenager. Mom told me not to say anything that would embarrass the family. I think she doesn't want me to mention that my grandfather came to Christmas at our house with a girlfriend, even though he wasn't divorced from my grandmother. My mom nearly had a cow. Did you hear that my grandfather's girlfriend gave me a doll for Christmas? What was she thinking? It's some kind of antique doll that my mom says looks like a saloon madame. It's really ugly, but I don't want to hurt Gampi's feelings by ditching it, so it's in a box in my closet. What I really wanted for Christmas was a cat. My mom kept telling me that we didn't have time for pets. But then there was a murder, and the killer attacked Natasha, and two gorgeous Ragdoll kittens got lost outside in the cold. And guess who they belong to now? I named them Jasper and Alice. 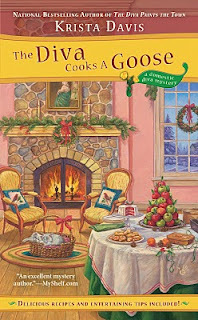 You can read all about why my mom changed her mind in The Diva Cooks A Goose. That was a Christmas we'll remember! This summer I'm going to camp with my best friend, Vegas. She lives with my Uncle Mars. I guess he's not my uncle anymore now that he's not married to my Aunt Sophie. But I still like him. He'll always be Uncle Mars to me. And guess what! My parents have a chance to go to Rome in the fall. The only problem is that it's over my birthday. My mom doesn't want to leave me, but Aunt Sophie said I could stay with her. Some people say there's a ghost in her house! My mom is totally against my staying with Aunt Sophie because she keeps finding murdered people, but I hope they work it out because a Halloween birthday party in a house with a ghost would be awesome! What can I say to convince my mom? 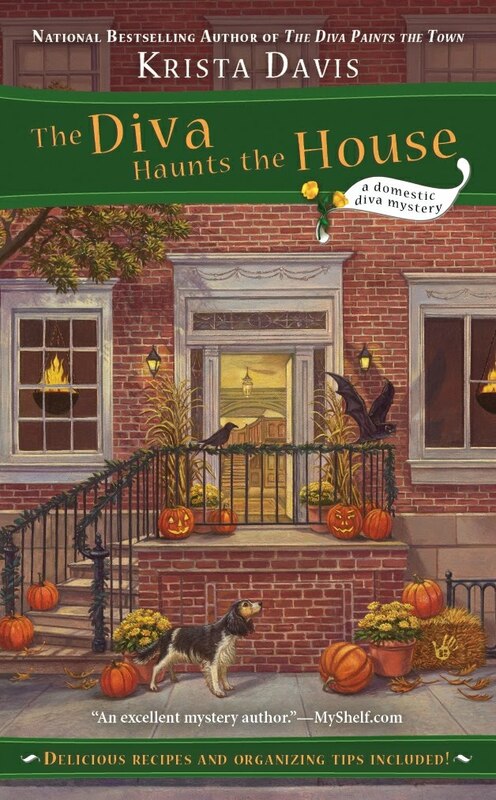 I really want to spend Halloween in Aunt Sophie's house with the ghost. Do you believe in ghosts? I'm not sure about them. Do you think the ghost will show up on Halloween? That would be so cool! I've stayed at Aunt Sophie's house lots of times, but I've never seen the ghost. Maybe on Halloween . . . .
Help me convince my mom? Her name is Laci. I see no problem with you staying with your Aunt Sophie. I'm sure she won't stumble over any dead bodies while you're there. As for the ghost - anything is possible. Tell your mom that you've always been safe with Aunt Sophie. ppsst...I hope you see a ghost. 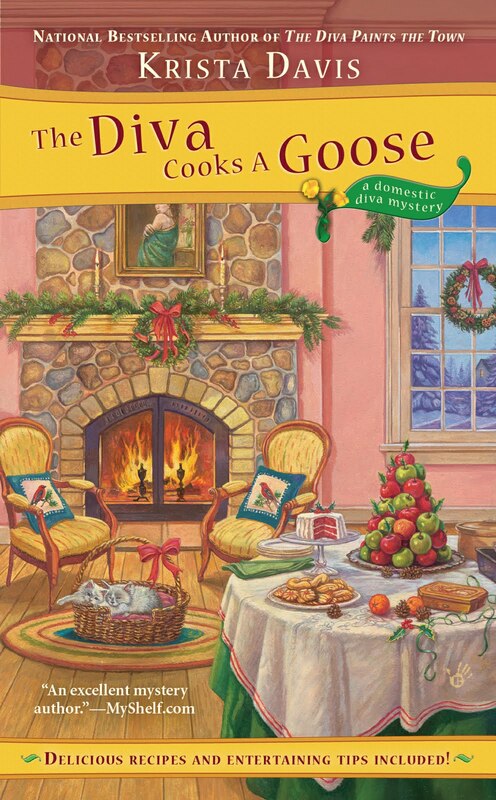 Aunt Sophie has always been level-headed, even when stumbling over bodies. And she loves you. Tell your mom you'll be perfectly safe. I think you'll eat well, too! Laci, I'm sure your daughter will be perfectly safe with Sophie. What are the odds that anything else could possibly happen? And really, you don't actually believe in ghosts, do you? Lighten up a little, Laci. Thanks, Shel! I'll pass that along to my mom. I hope you're right about the ghost! Dru, I hope I see it, too! Mom wasn't too happy about what happened at Hannah's wedding. I was the flower girl and they thought I saw too much. But I *was* safe! I'll tell her you said so! Janet, Aunt Sophie always cooks my favorite foods for me. I like "level-headed." Mom! Can you come read these? Jen! You asked all these people to help you convince me? Thank you, everyone. 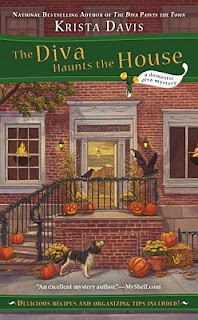 Kuzlin, I don't believe in ghosts, but strange things have happened in Sophie's house. I guess you're right about the odds. Of course, we didn't expect anyone to be murdered last Christmas, either. Thank you, Kuzlin. Maybe I'm being overprotective. Seeing a ghost for your birthday would be a memorable birthday present. I hope your mom lets you go have fun. You sound like a mature almost-teen. You can handle any excitement at your aunt's house. Besides, what are the chances that she'll stumble over another dead body? What a great birthday gift for Jen, Laci -- the chance to see a real live, well dead, ghost. What a super cool Mom you'd be. And don't worry, Aunt Sophie's got it covered with help, of course from that hunky cop boyfriend. Oh, Jenn, I do believe in ghosts. I think most are friendly, so I wouldn't be too scared, if I were you. Have a great time with Sophie! I love all her adventures. The Christmas one was a hoot! Even though you didn't get the gift you wanted. Believe. I love the idea of this gho, um, visit. Aunt Sophie will take great care of you. I'll email your mom off list. This way, you'll have a vacation and so will your parents. Thank you, Dorothy! I think I'm very mature. Even if we don't see a ghost, it would be awesome to invite my friends to party at a house that's supposed to be haunted. Erika, it's so hard to be a cool mom. But I forgot about Wolf! Oh, now I feel much better. Thanks, Erika. Friendly ghosts? That's so cool, Avery. I think I'd be so scared I wouldn't consider whether it was friendly or not! You would do that for me, Mary Jane? Wow. You're officially my new favorite adult! I think I would be more afraid of a ghost than a body. After all, I love Nancy Drew's adventures. Laci - Jen sounds like an energetic-yet-level-headed girl. She can help Aunt Sophie hand out trick-or-treat candy. My SpideySense tells me the ghost is a charming sort anyway. How awesome to have a Hallowe'en birthday. You have to have your birthday party in the haunted house, Jen. Laci, she sounds like me at her age, and that's really mature. I was babysitting at twelve, so she should be able to stay with Sophie and be just fine!